One of our favorite things to collect when we visit a special battlefield or historical spot is to bring back a small rock, a bottle of dirt, or a vial of sand. This sand (which is actually VOLCANIC ASH) was collected off the Invasion Beach: RED of Iwo Jima on the 70th anniversary of the battle. As you probably know, this sand is very rare since Americans are only allowed on the Island once a year during a special commemorative ceremony for the Battle. 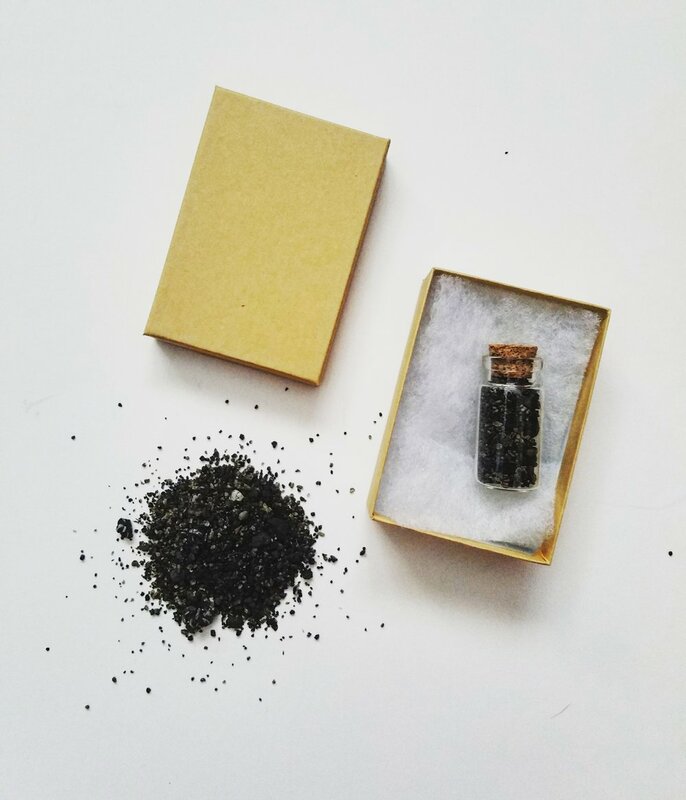 The Iwo Jima sand comes in a mini glass vial with a cork stopper and is packaged in a small brown box with padding. Height (with Cork): 1 3/4"